AppleInsider readers this week can use exclusive coupons to grab a free 32GB Apple TV in addition to cash discounts with the purchase of all current 15" MacBook Pros (Mid 2015 models). These deals from AppleInsider and Apple authorized reseller Adorama are made possible via a special batch of Mac + Apple TV bundles (linked below) and our exclusive instant discount promo code APINSIDER, which deducts the full cost of the 32GB Apple TV from the bundles during checkout. What's more, each includes free expedited shipping and Adorama won't collect sales tax on your order if you ship it outside NY and NJ (another $100-$300 savings for most shoppers). GET THE DEAL . Apple's 15" MacBook Pro (2.5GHz, 16GB, 512GB, 750M) for $1,899.00 shipped! For a limited time, eBay seller mywit has refurbished Apple Watch Sport 38mm models in Silver with a White Band or Space Gray with a Black Band for $199.99 with free shipping. Normally $299.00 new, these refurbished watches are nearly $100 off MSRP with the seller stating they're in excellent condition. At press time, over 81% are sold. Back by popular demand, eBay Top Rated Plus seller Dealfellow has Apple refurbished 27-inch iMac 5K systems with M390 graphics (model MK472LL/A) for $1,299.99 , a discount of $700 off new MSRP. These 27-inch iMac 5K systems are refurbished by Apple and come with a one-year warranty for added peace of mind. They also ship for free, and the seller will not collect sales tax outside New York State. According to our 27-inch iMac 5K Price Guide, this deal is $500 to $600 cheaper compared to buying new from an authorized reseller and roughly $860 cheaper compared to paying full price with tax at the Apple Store for shoppers outside NY. For a limited time, Apple authorized reseller B&H is slashing the price of the Early 2015 Apple MacBook Air (1.6GHz 4GB 512GB Integrated Intel HD Graphics 6000) by $180, bringing the cost down to $1,219.00 with free expedited shipping. What's more, there's no sales tax for customers outside of NY. According to our Mac Price Guide , this is the lowest price available for this particular model by $30. For a limited time, Apple authorized reseller B&H Photo & Video is taking $300 off the latest Apple 15" MacBook Pro (2.5GHz 16GB 512GB M370X) , bringing the price down to $2,199.00 with free expedited shipping and no sales tax on orders shipped outside of NY. Plus, get a free Ruggard Leather Laptop Stand in one of three available colors. According to our Mac Price Guide , this is the lowest price available on this model (by at least $44) without even factoring in the free gift, which is valued up to $29.95. DEAL EXPIRED: Through Feb 20th ONLY, Apple authorized reseller B&H Photo is offering AI readers cash discounts plus a Free pair of Silver Luxe Edition Beats by Dr. Dre Solo2 On-Ear Headphones and a Free 2TB WD My Passport hardware with two of Apple's most popular Late 2015 iMac 5K models: Apple's 27" iMac 5K (3.2GHz, 8GB, 1TB, M380) is available with these items for just $1,769.00 ($30 less than Apple charges for the iMac itself), while the 27" iMac 5K (3.3GHz, 8GB, 2TB, M395) is marked down to $2,199 ($100 less than Apple charges for this iMac itself). Or grab a $80 discount on Apple's 27" iMac 5K (3.2GHz, 8GB, 1TB, M390) at $1,919.00 with the same Beats headphones and a 1TB My Passport Drive. DEAL EXPIRED: Through Feb 20th ONLY, Apple authorized reseller B&H Photo is offering AI readers Apple's high-end 15" MacBook Pro (2.5GHz, 16GB, 512GB, M370X) for $2,459.00 , which includes a $40 discount on the Mac plus a free pair of Silver Luxe Edition Beats by Dr. Dre Solo2 On-Ear Headphones ($200 value) and a free 2TB WD My Passport portable hard drive ($129 value) for a total bundle savings of $368.95. Each bundle also ships free and B&H won't collect sales tax on your order if you live outside NY state. Shoppers can step down to Apple's entry-level 15" MacBook Pro (2.2GHz, 16GB, 256GB) and get the Beats and WD Drive for just $19 more than Apple charges for the MacBook Pro itself. EXPIRED: Form now through Feb 20th ONLY, Apple authorized reseller B&H Photo is offering AI a free pair of Silver Luxe Edition Beats by Dr. Dre Solo2 On-Ear Headphones ($200 value) and a free 1TB WD My Passport portable hard drive ($99 value) with the purchase of Apple's Late 2015 21" iMac HD (2.8GHz, 8GB, 1TB) for $1,299 . And, if you want to step down to the more affordable 21" iMac HD (1.6GHz, 8GB, 1TB) , you can pick up the same bundle for just $30 more ($1,129.00 ) than Apple charges for that iMac configuration by itself. Plus free shipping and no sales tax collected on this bundle if you ship it outside NY state. 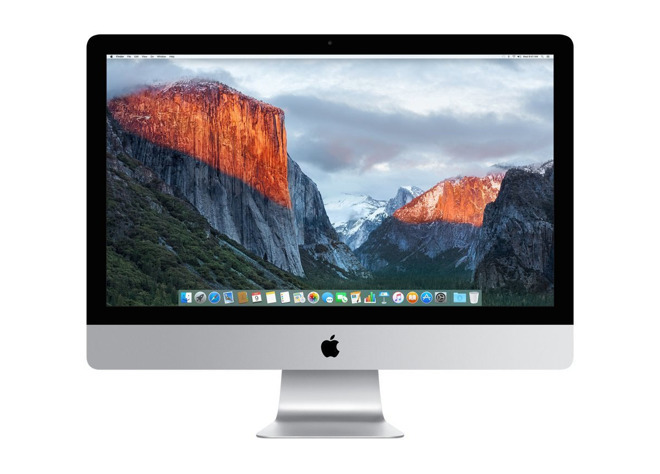 DEAL EXPIRED: Through Feb 20th ONLY, Apple authorized reseller B&H Photo is offering AI readers Apple's Late 2013 27" iMac HD (3.2GHz, 8GB, 1TB, 755M) for $1,429.00 , which includes a $370 discount on the Mac plus a free pair of Silver Luxe Edition Beats by Dr. Dre Solo2 On-Ear Headphones ($200 value) and a free 1TB WD My Passport portable hard drive ($99 value) for a total bundle savings of $368.95. Each bundle also ships free and B&H won't collect sales tax on your order if you live outside NY state. Apple authorized reseller Adorama is offering AppleInsider readers between $189-334 off all of its 2015 11" MacBook Airs that come bundled with AppleCare extended warranty protection plans with this $100 Mail-in-Rebate . What's more, each bundle also ships free and Adorama won't collect sales tax on your order if you ship it outside NY and NJ. To take advantage of this offer, please follow the step-by-step instructions below and during checkout (right before your payment info) apply promo code APINSIDER to get the advertised price. In addition to offering exclusive pricing for AppleInsider readers on all 32GB iPad Pros, MacMall on Thursday received a rare shipment of Apple's 128GB iPad Pro (Wi-Fi Only) in Space Gray , which have been heavily constrained. It's selling them for $937.00 while supplies last, which also happens to be the lowest price for this model (ML0N2LL/A) by $12, according to our Price Guides . Each also includes free shipping and MacMall won't collect sales tax on your order if you live outside these states: CA, CO, GA, IL, MN, NC, NY, TN, and WI. MacMall is also offering all other iPad Pros at the lowest prices anywhere. In addition to offering exclusive pricing for AppleInsider readers on all 32GB iPad Pros, MacMall on Thursday received a rare shipment of Apple's 128GB iPad Pro (Wi-Fi + Cellular) in Space Gray , which have been heavily constrained. It's selling them for $1,067 while supplies last, which also happens to be the lowest price for this model (ML3K2LL/A) by $12, according to our Price Guides . Each also includes free shipping and MacMall won't collect sales tax on your order if you live outside these states: CA, CO, GA, IL, MN, NC, NY, TN, and WI. MacMall is also offering all other iPad Pros at the lowest prices anywhere. EXPIRED: MacMall is offering AppleInsider readers the lowest prices anywhere on all 32GB iPad Pros — Space Gray , Silver and Gold — knocking $25 off with the links in this post and promo code APPLEINSIDER01 (enter it on the product page after you click through). Each also includes free shipping and MacMall won't collect sales tax on your order if you live outside these states: CA, CO, GA, IL, MN, NC, NY, TN, and WI. If you live in one of those states, your next best bet is B&H, which has all models in stock with free shipping and no tax if you live outside NY. Apple authorized reseller B&H Photo on Sunday dropped the price of Apple's Late-2014 27.0" iMac 5K (3.3GHz/8GB/1TB-HDD/M290) model MF886LL/A down to a record low of $1,699.00 with free shipping and no sales tax if you have a shipping address outside NY. This is not only $700 off Apple's original price, it's also the lowest price available anywhere for this model by $100, according to our Price Guides . This is a closeout model, which means inventory is limited to available stock. ALLOTMENT SOLD OUT: Apple authorized reseller Adorama and AI have teamed up to offer Apple's early-2015 13" MacBook Pros (2.9GHz, 8GB, 512GB) model MF841LL/A with AppleCare for just $1,729.00 , which means you get the AppleCare extended protection plan ($249 value) absolute free plus a $70 instant discount. That's $319 off Apple's price for this pair and lowest price anywhere for this bundle by $149, according to our Macs with AppleCare Price Guide . It's also the lowest price ever for this bundle. Plus free shipping, and Adorama won't collect sales tax on your oder if you ship it to an address outside NY and NJ. To take advantage of this deal, you to first register and log in to a free Adorama VIP account, then use the links below to add your Mac(s) of choice to your cart, and then apply promo code APINSIDER during checkout (right before payment info) to get the advertised price. This deal is limited to a handful of available units and once they sell out, the deal will end. Step-by-step instructions are below. EXPIRED DEAL: One-upping our offer from last year, this Black Friday AppleInsider has teamed with one of Apple's top authorized resellers to knock $30-$111 off all 2015 13" MacBook Pros and $71-$230 off all 2015 15" MacBook Pros, then throw in a brand new 4th-generation 32GB Apple TV — on top of those discounts — for free. Plus free shipping and no tax in 48 states.